It’s that time of year again, spring time is here, so I thought it would be fitting to write an article on a topic that many of us face, whether we are competing in field events or just tuning up your gundog. Discipline on running birds is a problem that seems to plague everyone at some time or another. If you’re saying to yourself, "My dog never flushes game out of gun-range", then consider yourself fortunate. Given enough opportunities, even the most veteran gun dog will push the limits of gun-range. This month I would like to share a technique we employ at our Kennel to teach a dog discipline on running birds. Acceptable gun-range is largely a matter of personal preference and application. 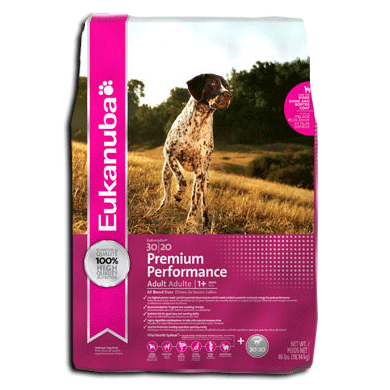 When training spaniels for AKC Hunting Tests in the northeast where we primarily shoot chuckar and pheasant, I like to have our dogs work approximately 15-20 yards on either side and no more than 15-25 yards in front of the handler. 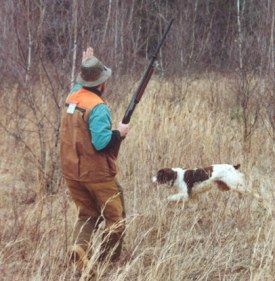 However, when I am training a spaniel for clients who pursue woodcock and grouse, I will often shorten-up a bit and not let the spaniel range more than 10-15 yards from the handler. In a hunt test, a dog could fail to qualify for a leg towards a hunting title for flushing a bird out of range. After all, the epitome of the flushing breed is to enthusiastically producing game within gun-range. Teaching your young spaniel discipline on running birds will pay big dividends come opening day. Before we get started, let me just state that this stage of training should only be applied to advanced dogs. In the U.S., spaniels are heavily judged on how bold their flush is. A dog that demonstrates a strong aggressive flush is looked upon favorably. For this reason, we do not want to impose too much control on a young spaniel that would weaken his flush and only use the techniques described in this article to rectify an existing problem or refine a veteran dog’s fieldwork. As a spaniel comes in contact with hot scent he should break-off his quartering pattern and pursue the running bird. The spaniel’s speed and desire should escalate until he produces the game for the guns. A canine that slows his pace and ponders as it moves between hot and cold scent may allow a fast running rooster to escape. Therefore, our goal is to teach our spaniel how to distinguish between hot and cold scent so that it can follow the scent cone and produce the bird.